The ATO has provided further details on some of the regulatory considerations with cryptocurrency for SMSFs, including valuations, in specie contributions and ownership of assets. Following some of its earlier comments around cryptocurrencies and SMSFs, the ATO has discussed some of the specific regulatory considerations for SMSF trustees and professionals with cryptocurrency in an online update. The ATO explained that where an SMSF transacts in cryptocurrencies, SMSF trustees and members need to be aware of the tax consequences in each case, which will depend on the nature of the circumstances of the SMSF. 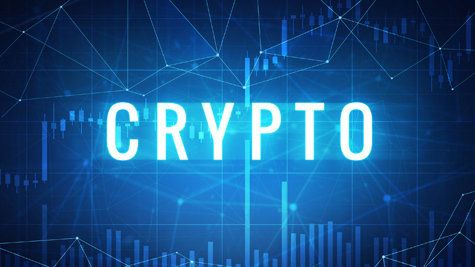 “SMSFs involved in acquiring or disposing of cryptocurrency must keep records in relation to their cryptocurrency transactions. There are also super regulatory considerations for SMSF trustees, members and SMSF auditors,” the ATO said. While SMSFs are not prohibited from investing in cryptocurrencies, it said, the investment must be allowed under the fund’s trust deed, be in accordance with the fund’s investment strategy and comply with SISA and SISR regulatory requirements concerning investment restrictions. Before investing in cryptocurrency, the ATO said SMSF trustees and members should consider the level of risk of the investment and review their fund’s investment strategy to ensure the investment being considered is permitted. “Trustees and members also need to ensure that investments in cryptocurrency are allowed under the SMSF’s deed,” the update said. SMSF cryptocurrency investments must also be held and managed separately from the personal or business investments of trustees and members, the ATO added. “This includes ensuring the SMSF has clear ownership of the cryptocurrency. This means the fund must maintain and be able to provide evidence of a separate cryptocurrency wallet for the SMSF from that used by trustees and members personally,” said the ATO. In terms of valuation, the ATO said SMSFs must ensure their investments in cryptocurrency are valued in accordance with ATO valuation guidelines. “The value in Australian dollars will be the fair market value which can be obtained from a reputable digital currency exchange or website that publishes its rates publicly,” it said. The ATO also noted that cryptocurrencies such as bitcoin are not listed securities and therefore cannot be acquired from a related party. “It follows that SMSF trustees and members – being related parties of the fund – cannot make in specie contributions or other transfers of cryptocurrency to the fund,” it said. The ATO also reminded SMSF professionals that an SMSF is unlikely to meet the sole-purpose test if trustees or members, directly or indirectly, obtain a financial benefit when making investment decisions and arrangements. “For example, it may be a breach of the sole-purpose test where affiliate fees or commissions associated with the fund’s cryptocurrency investment are paid to a trustee or member personally,” it explained. The ATO also confirmed that where a trustee or member satisfies a condition of release, the SMSF can make an in specie lump sum payment by way of transfer of cryptocurrency. However, pension payments must be made in cash. “Trustees and members will need to consider the fund’s trust deed and any CGT implications associated with the transfer of assets such as cryptocurrency,” it said. The ATO added that any SMSF trustees who think they may have breached the super laws “should work with their professional advisers to rectify the breach as soon as possible”.